"All Prophesied Nations Now In Place"
But, Kabbalah Is Controlled by Prophecy! Subtitle: Iran has reacted to the incessant threats from Israel by seeking protection from the Russian Bear. This "Rumors of Wars" campaign is having the effect of cementing the prophesied alliance between Russia and Ancient Persia (Iran). Persia (Iran) will march with Russia and some European nations against Israel in the Latter Days (Ezekiel 38-39). The kind of firm alliance between Iran, Russia, and Europe is coming together because of Israel's fiery threats against Iran! In fact, Iran began to seek Russia's help during the Bush Administration, when the White House incessantly threatened to attack Iran, and even sent several naval armadas off the coast of Iran in a most powerful display of military threat. We are watching prophecy being fulfilled in our Daily News. Israel hardly lets a day pass without issuing a threat of some kind against Iran's supposed nuclear development program. Most days, an Israeli politician warns of the dire threat Iran's nuclear warheads pose to the Jewish state, but on other days, the Israeli military is sending the threat through maneuvers. Let us examine some of the more recent threats. "Israeli warships have deployed to the Red Sea for what has been described as a rehearsal for a possible attack on Iran ... Media reports in Israel said the two Saar-class missile ships had been sent as a 'message' to the Tehran government, which has repeatedly issued threats against Israel and is developing nuclear technology believed by the West to be intended for atomic weapons programme. While Iran denies this, saying its enrichment of uranium is for civilian purposes only, so that it can generate electricity." "The Israeli government has reserved the right to carry out a first strike on Iran's nuclear facilities if the country continues to defy the international community and spreads instability in the Middle East." Cutting Edge revealed in June, 2002, that the Iranians already possessed nuclear warheads with short-range ballistic missiles by which to deliver them. Please read full details in NEWS1660, entitled, "Mushroom Clouds In The Middle East". "Then the Russian general takes a surprise turn: 'Now, as to whether or not Iran has tested something like that. Iran does have nuclear weapons,' Baluyevsky said. 'Of course, these are non-strategic nuclear weapons. I mean these are not ICBMs with a range of more than 5,500 kilometers and more." This Russian general has just confirmed that Iran has nuclear warheads and theater missiles with which to deliver them! And, he seems not to be concerned because these warheads cannot yet hit Russian soil. Therefore, we knew in June, 2002, that Iran had both atomic warheads and the missiles to deliver them in June, 2002! This reality means that Iran has acted responsibly as a nuclear-capable country. She has not threatened to use her atomic arsenal in either warfare or terrorist activity. She has not spread instability throughout the world since she attained an atomic nuclear military capability. Yet, the West has long falsely maintained that Iran does not yet have nuclear warheads and that her civilian nuclear power project is designed to produce the enriched uranium necessary to create her own atomic warheads. This position is obviously a big, fat lie. 1) Iran has acted responsibly as a nuclear power, her verbal threats against Israel notwithstanding. Iranian leadership is well aware of Scalar Weapons technology and is well aware that Israel possesses this capability. Therefore, Iran is not going to attack Israel. Her threats are just grandstanding for conservative Islamic circles. 2) The constant claims by Western powers -- Bush's America and now Netanyahu's Israel -- that Iran is close to producing atomic bombs, is proven to be a huge lie. Therefore, this lie is not intended to result in a military attack, but only to stoke the fires of threats of war -- the "Rumors of War" of which our Savior spoke. Now, let us examine some more of the recent Israeli threats against Iran. "JERUSALEM, July 16 (UPI) -- Israeli naval activity in the Suez Canal as leaders gather for the meeting of the Non-Aligned Movement in Egypt may be a subtle warning to Iran. Israel sent its naval vessels through the Suez Canal as regional leaders, including Iranian Foreign Minister Manouchehr Mottaki, convene for the annual meeting of the members of the Non-Aligned Movement at the Egyptian resort city of Sharm el-Sheik." It is diplomatically noteworthy that Israel sent her naval ships through the Suez Canal at the same time that the Non-Aligned Movement nations were meeting in a most important summit at Sharm el-Sheik. There is no doubt that Israel intended to send a strong diplomatic message to Iran. "Israel makes no secret of its military posture toward Iran. Israeli President Shimon Peres said in April that military options were on the table in the event U.S. efforts at detente failed." When Liberal politicians like President Shimon Peres utters the same kind of war threat which you would expect from a Conservative hawk, you must realize that you are seeing the outworking of an Illuminati Plan. The reality is that Conservative/Liberal is just a meaningless label because leaders of both sides are equally committed to the New World Order Plan. Even Vice-President Biden got in on the act. "Washington -- Vice President Joe Biden signaled that the Obama administration would not stand in the way if Israel chose to attack Iran's nuclear facilities, even as the top U.S. military officer said any attack on Iran would be destabilizing. Biden's remarks suggested a tougher U.S. stance against Iran's nuclear ambitions, but administration officials denied that. Instead, White House officials said, his televised remarks Sunday simply reflected the U.S. view that Israel had a right to defend itself and make its own decisions on national security." "... Biden was then asked whether the U.S. would stand in the way if the Israelis decided to launch a military attack against Iranian nuclear facilities. 'Look, we cannot dictate to another sovereign nation what they can and cannot do', he said." The Vice President has quickly developed a reputation of possessing loose lips that can, and do, embarrass President Obama. Evidently, the President felt that Biden had spoken out of turn for he quickly set the record straight as to what his Administration really intended for Iran. Since Israel needs American military support plus the use of Iraqi airspace if she is to attack Iran, Obama made it quite clear that Israel had not received any clearance to attack Iran. "The US has "absolutely not" given Israel a green light for a possible attack on Iran's nuclear facilities, US President Barack Obama said Tuesday. Obama was qualifying comments Vice President Joe Biden had made Sunday that left the impression the US would not stand in the way of an Israeli action. 'We have said directly to the Israelis that it is important to try and resolve this in an international setting in a way that does not create major conflict in the Middle East', said Obama, currently in Russia, during a CNN interview." Not only would an attack on Iran's nuclear facilities bring the world economic system crashing down, but Iran and Russia have so buried key facilities so well that even bunker-busting nuclear bombs could not be guaranteed a knock-out punch. Equally important, President Obama is actively seeking a new reapproachment with Russia, as his trip to Moscow last week made perfectly plain. Since Putin has already rushed Russian defenses to protect Iran, and since he has stated publicly that an attack on Iran would be considered as an attack on Russia herself, President Obama cannot sanction an attack on Iran if he wants a new diplomatic relationship with Russia. People tend to forget important facts sometimes, so let us remind everyone that Russia's Putin took concrete action several years ago which effectively checkmated American and Israeli plans for the region. Please read NEWS2003, "Russian Checkmate In The Middle East" for full details. If you have not yet read this article, please do so now, for an understanding as to how closely American pressure has driven Iran (Ancient Persia) into the hairy arms of the Russian Bear. This comprehension is critical to properly discerning the prophetic implications. You see, Persia is foretold in Ezekiel 38-39 as being one of the countries which will march against Israel in the Latter Days. The government in control at that time has to be anti-West and anti-Israel, precisely as it is today. If Israel or America successfully overthrows the present regime, they will institute a puppet government just as they have done in Iraq; this puppet government will be pro-Israel and pro-West. Therefore, we expect that current Iranian government is protected by the prophecy of Ezekiel 38-39 from being overthrown. What has taken us by surprise is the intensity of the forces which have driven Iran into the Russian camp, as she seeks protection from the West's sophisticated weaponry. Since the prophecy says that Gomer (European nations) is marching with Russia; therefore, Western pressure on Iran is resulting in forcing together three major elements of this prophecy: Iran (Persia), Russia, Europe (Gomer). Let us now review this wonderful prophecy coming together right in front of our eyes. Let us now reveal the prophetic truth that Iran will be allied with Russia when Russian leads the attack on Israel in fulfillment of Ezekiel 38-39. In Ezekiel 38-39, God foretells of a "latter day" invasion of Israel by a confederation of forces led by Russia. God states that several Arab nations will be part of the invading force. 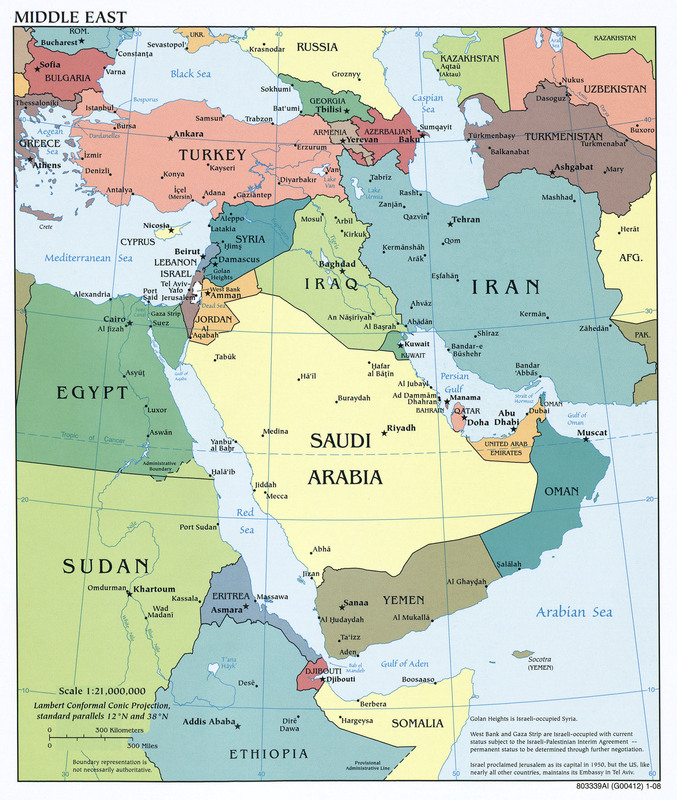 He states that these Arab nations will be: Persia (Iran), Cush (Ethiopia), Libya, and the House of Togarmah [Turkey]. A quick view of a Middle Eastern map will reveal that this invasion will be coming at Israel from both the North and the South. Libya and Ethiopia will be invading from the West, marching through Egypt, and then up from the South. Russian forces, along with those of Iran and Turkey, will be coming from the North. Thus, to the outside observer, it will appear that the nation of Israel will be surrounded by hostile armies. Remember this fact, because it will become very important just a little later in this article. While Bible scholars are unsure about the exact timing of this invasion, other than it being "in the latter years" [verse 8], "latter days" [verse 15], and "latter days" [39:28], some scholars believe that this invasion must occur before the Antichrist "confirms the covenant " with the religious leaders of Israel. 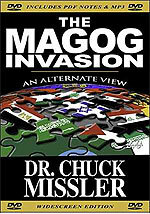 This invasion may be the trigger to begin the 7 Jewish years of the Tribulation Period. How can this be, you say? Doesn't the 7-year Tribulation Period begin the minute Antichrist makes his appearance, and begins his deceptive "signs and wonders"? No, the Tribulation Period does not begin then. 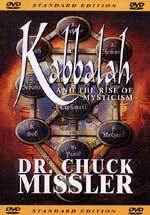 It begins after he has convinced the Jewish Orthodox rabbis that he is the long-awaited Jewish Messiah. No person, despite all his miracles, will be able to win the hearts of the Orthodox Jewish leadership, until and unless he "fulfills" all the Old Testament Messianic Prophecies and the Messianic expectations that have been generated by the false Rabbinic Tradition. Occult writers are aware of this fact, and have made elaborate plans for Antichrist to deceive the Orthodox Jewish Rabbis; they plan for Antichrist to deliberately stage all these expectations. Peter Lemesurier, writing in his book, The Armageddon Script , acknowledges this to be a fact. He lists all these expectations and the way in which Antichrist will fulfill them. The point is, the world will pass through a period of at least a few months if not a year, between the time Antichrist arises and the time the Jewish Rabbis have officially declared him to be their Messiah, thus allowing him to confirm their national covenant. Does the Bible allow for this scenario? Yes, it does, in the fact that it does not forbid it. In the passage of Daniel 9:27, where we see the official beginning of the 7-year Tribulation, we see no mention of of a time period between the appearance of Antichrist, and the confirming of the covenant. However, such a period is not forbidden in this Scripture. Further, scholars know the Jews well enough to know they would never accept someone as Messiah until and unless he has fulfilled these Biblical and extra-Biblical expectations. God sheds further light upon this subject in Daniel 7:7-8. In this prophecy, God says that the actual appearance of Antichrist will be preceded by a global reorganization of 10 Super Nations, each with a leader. Revelation 17:17 is a parallel passage, in which God reveals that these 10 leaders will be pursuing an active plan to gather all the political and economic power in the world for the express purpose of giving it to Antichrist. We know this plan to be the New World Order Plan. This means that, when Antichrist arises, all 10 of these Super Nations will announce that they are giving all their power and influence to Antichrist. They will probably hold a joint news conference, with all 10 of the leaders present, along with Antichrist, as they hand him the keys to the world. What a joyous celebration the world will give this event! You will see exultant news coverage like you have never, ever seen before. However, Daniel 2:40-45, God tells us that, in the background of this exultant celebration, all is not well in the newly created Kingdom of Antichrist. In this passage, God tells us that this 10 Nation kingdom will be partly strong and partly brittle. Its composition will be like that of part iron and part burned, broken potter's clay. Since these two elements can never cohere, and since burned potter's clay is so fragile, when the weight of the global kingdom is actually placed upon this 10-nation structure, the whole thing will come crumbling down. How will this disintegration occur? 1. Verse 7, Daniel sees the 10 horns [nations] forming. 2. Verse 8a, Daniel sees another horn, a "little one" coming up after the 10 horns were established. This little horn is Antichrist, as God confirms in 7:24-25. 3. Sudden, cataclysmic destruction occurs, totally destroying three (3) of the original 10 Super Nations. God does not reveal exactly who these three (3) Super Nations might be, but He does give us some really good clues as to who might be at least two (2) of the Super Nations who are to be destroyed. 1. In Ezekiel 38:1-4, God reveals that the leader of this tremendous army marching against Israel in the "Latter Days" will be Russia. The New World Order Plan reveals that Russia will be the leader of Nation #5 in their global reorganization plan. 2. In Ezekiel 38:13, God states that Israel's allies at the time of this invasion do not aggressively move to protect Israel. Rather, they meekly issue a diplomatic note saying, "Have you gathered your hosts to take your prey? To carry away livestock and goods, to take a great spoil?" In other words, these allies of Israel will refuse to actually come to Israel's aid. At this time, Israel will feel the most betrayed she has ever felt in her life; furthermore, if the United States refuses to come to her aid, her military defeat at the hands of the Russians will seem most imminent, inevitable, and palpable. Modern scholars have noted that the United States has historically backed Israel against Russia on several occasions since Israel's national rebirth in 1948. In fact, President Nixon ordered American nuclear forces on full alert in the 1973 Middle East war, when Russia was threatening to go to nuclear, and had actually placed her atomic forces on alert. On December 12, 2001, President George W. Bush obviously staged a "photo-op" showing him in front of the Israeli Illuminist hexagram flag (Read NEWS2128 for full details]. This staged event demonstrated that Bush is as pro-Israel as any of his predecessors. President Obama has publicly emphasized his friendship with Israel, even appointing a Jew to his Cabinet. American leaders have always supported Israel, no matter what the rest of the world thought of us. Therefore, in this instance, modern scholars ask, where is the United States here? She is still dominated by Jewish leaders in our Cabinet, and Jews are still very influential in elections in several key states like New York. Even given the preference Liberal Democrats have shown for all things Arab, it is not conceivable that the President could allow a steadily-marching huge army coming at Israel from the North and the South without moving to protect Israel. However, if the United States, as leader of NAFTA, were destroyed, then we would understand why the rest of Israel's allies will offer only a mild diplomatic protest as defense. 3. One of the Messianic expectations Jewish rabbis have is that Messiah will deliver a Jerusalem surrounded by armies. Jesus alluded to this belief in Luke 21:20, "And when ye shall see Jerusalem compassed with armies , then know that the desolation thereof is nigh." The context of this passage is the persecution of Jews in the Great Tribulation. When Jews see Jerusalem surrounded by armies, they are to know that persecution is very close, and they are to flee. Jesus has just enunciated the Messianic prophecy contained in Zechariah 12, where Jerusalem will be attacked and surrounded by armies, but God has promised to deliver the eternal city by His omnipotent power. Now, I ask you a simple question: when Antichrist is going about, deliberately "fulfilling" all Messianic prophecies so the Jewish Orthodox leaders will declare him to be their Messiah, how is he going to fake an attack on Jerusalem by encompassing armies, and the appearance of a Divine deliverance? The answer is simple, but no one has apparently thought of it. When the Russian-led armies move against Israel -- possibly after Russia has just destroyed NAFTA and right after Antichrist has arisen -- she will lead an army that will march from the North and from the South. The Libyans and Ethiopians will comprise the Southern armies, while the Russians, some Europeans, Turks and Iranians will comprise the Northern armies. Just before God destroys the entire armies surrounding Israel, Jews will see that they and their beloved city, Jerusalem, are surrounded by armies. They will be looking for their Messiah to deliver them in accordance with Biblical prophecy. And, they will have an obvious Messianic candidate, who has been running all over Israel, claiming to be their Messiah, and fulfilling all Messianic prophecies. All Jewish eyes will be upon him to see if he can deliver Jerusalem surrounded by armies. This will be the final, acid test to prove whether the man claiming to be the Jewish Messiah is truly their national messiah, for whom they have been long awaiting. Further, from the moment Antichrist arises, he will make his headquarters in Jerusalem. For him to be declared the Jewish Messiah, he could make his headquarters no place else. Therefore, when the armies approach Israel's borders from North and South, tensions in the office of Antichrist must be very high. After all, Russia has just annihilated the United States, Canada, and Mexico [NAFTA} and has probably destroyed one other Super Nation. Now they are obviously out to destroy Antichrist himself and take control of the world for Mother Russia. Antichrist will probably be filled with unbelievable rage because the leaders of Russia have gone back on their long-standing plan to support Antichrist when he arose. How dare they move so quickly to destroy the 10-nation consortium that had been so carefully planned for so long, and had been so beautifully executed? But, Antichrist must also be full of fear and foreboding. He has no Weapons of Mass Destruction arsenal to match that of Russia, nor the means to deliver it. Without the United States, Russia and China possess King Kong status. When God intervenes to annihilate Russia and all her accompanying armies, as He promises to do in Ezekiel 38:16-23, and in chapter 39, the peoples of the world generally and the Jews specifically, will credit Antichrist ! The Jews will say, "My goodness, he did deliver Jerusalem from encompassing armies". Since Antichrist had already "fulfilled" all the other prophecies and Messianic expectations, the Jewish Orthodox leaders will waste no time pronouncing him to be their Messiah. Then, and only then, will they allow him to come to the conference table to "confirm the covenant", thus beginning the 7-year Tribulation. You can see how very important Ezekiel 38-39 is to the entire prophetic plan to stage Antichrist on the world scene. Iran is one of those nations marching with Russia at the Latter Days. Her hardline government is exactly the kind she needs to hate Israel enough to march with Russia. And, since mid-2003, Iran has been seeking Russian protection against America and Israel. Today, she has sophisticated Russian radar and anti-aircraft missiles which are also capable of shooting down cruise missiles. And, silently, Iran knows she has protection from Russian scalar weaponry -- unequalled by anything in America's arsenal. Equally important, Iran knows that Israel possesses scalar military technology, so she will not attack the Jewish state. Both Russia and Europe are also making no bones about their intention to establish ties with Iran, in face of tremendous American pressure to back off. Listen to several current news stories which really tell the story. "BUSHEHR, Iran (AP) - Russia and Iran signed a deal Sunday that would deliver nuclear fuel to the Middle East country for the startup of its first reactor - a project the United States had for years pushed Moscow to drop ... Iranian Vice President Gholamreza Aghazadeh and Russian Atomic Energy Agency chief Alexander Rumyantsev signed the agreement at the Bushehr nuclear power plant. The signing, which was delayed by a day, came after the two senior officials toured the $800 million complex." This agreement means that Russia has committed, not only to provide the nuclear fuel by which Iran can operate this plant, but also to provide security against American attack. This reality was underscored by the next revelation in this news story. The Russian Atomic Energy Agency chief is speaking. When Russian technicians will arrive at the power plant, they will be at risk of death from any American or Israeli strike. To deliberately cause the deaths of Russian technical experts at this plant through an attack, the Bush Administration risks an international confrontation with Russia, thus making an attack less likely. Furthermore, Russia did not sign this accord, nor did she send her technicians to the plant, until she activated her air defense shield over Iran (NEWS2003 and NEWS2002). Therefore, Russia felt confident in signing this agreement with Iran, an action which really means a "poke in the eye" to President Bush. Europe also seems to be lining up behind Iran, as this related story indicates. "The international ensemble dancing around Iran’s nuclear program appears to have regrouped: the European Union and Russia are suddenly lining up against America barely a week after US President George W. Bush held talks in Europe to patch up differences with both. European officials said Monday February 28 they had no problem with the deal Moscow signed two days earlier to sell Iran nuclear fuel for bringing Iran’s Bushehr reactor on line. Russian foreign minister Sergei Lavrov, after talks with EU leaders, urged Americans to take a 'more active' role in European diplomatic efforts with Iran." The picture we may have here is that Russia and Europe are coordinating foreign policy regarding Iran, deliberately running counter to the policy of President Bush. News reports posted on Daily News Updates indicate that the European leaders did not really buy the line from Bush that America and Europe needed to just "forgive and forget". Instead, the 25 members of the European Union spoke with one united voice in contravention to Bush's policies. In fact, even Solana got in on the act, warning Bush to stop his "Regime Change", backed by bombing threats, against Iran. The European Union has embarked on a separate diplomatic campaign regarding Iran, a campaign seemingly much closer to Russian policies than Washington's. Iran seems firmly in the Russian - European orbit -- and President Bush's continuous threats since January, 2002, have forced her into this kind of alliance. Since Bush retired as President, Israel has assumed the mantle of making verbal threats against Ancient Persia. If this perception is correct, we are seeing the working out of an alliance which will result in Ezekiel 38-39 being literally fulfilled. Truly, the world stands at the precipice of the End of the Age. While there will be NO Israeli or American attack on Iran, these "Rumors of Wars" serve a very useful purpose as the Illuminati seeks to manipulate events in the world to her advantage so she can ultimately stage her Masonic Christ (Antichrist). Are you spiritually ready? Is your family? Are you adequately protecting your loved ones? This is the reason for this ministry, to enable you to first understand the peril facing you, and then help you develop strategies to warn and protect your loved ones. Once you have been thoroughly trained, you can also use your knowledge as a means to open the door of discussion with an unsaved person. I have been able to use it many times, and have seen people come to Jesus Christ as a result. These perilous times are also a time when we can reach many souls for Jesus Christ, making an eternal difference.